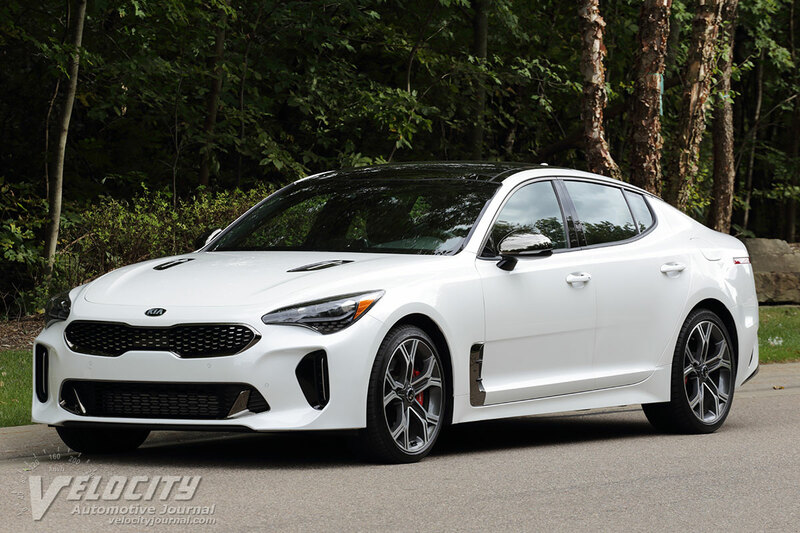 Kia has extended its product lineup to include a sport sedan, the midsize Stinger. 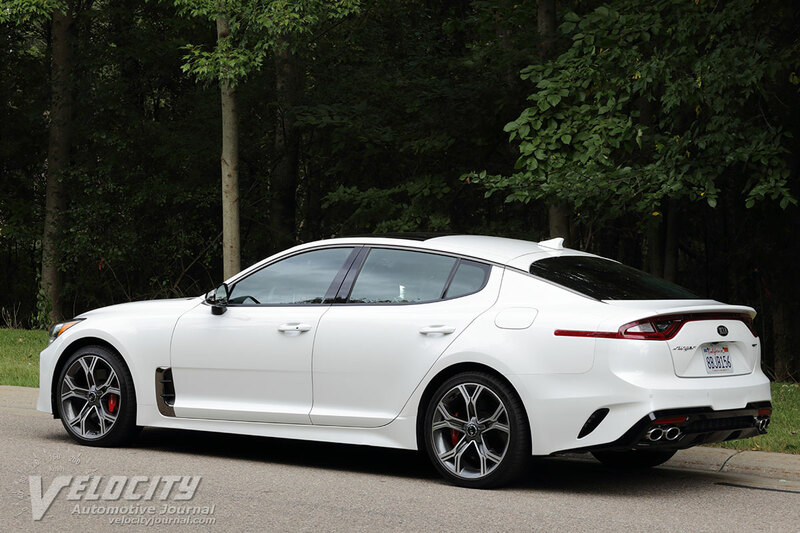 Available in rear-drive or all-wheel drive variants, the Stinger is powered by a 2.0L turbo four or a 3.3L turbo V-6. 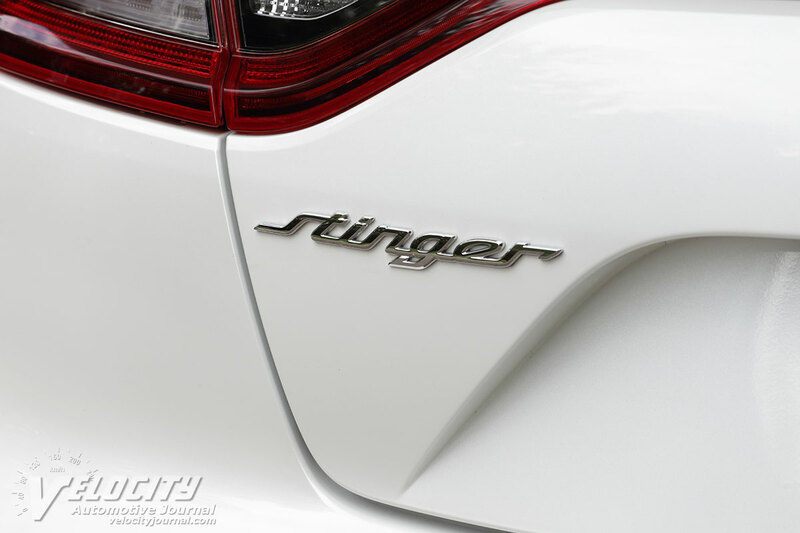 Unlike most of its competition from Germany, Japan and US, the Stinger is a hatchback. 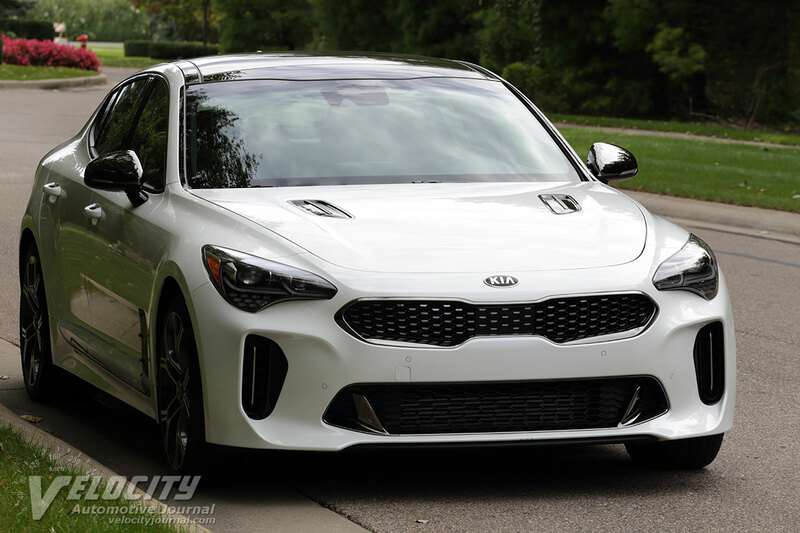 Kia has continued its value strategy by offering the Stinger with a high level of standard and available equipment. 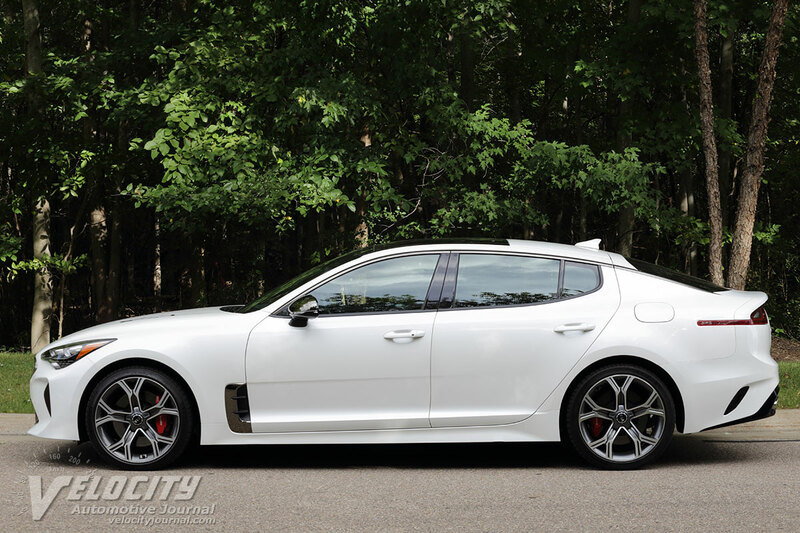 To ensure the largest potential customer base, Kia offers the Stinger in ten models. Pricing starts at $31,900 for the rear-drive Stinger equipped with the 2.0L turbo. To get the 3.3L turbo requires moving up to Stinger GT at $38,350. The top all-wheel drive Stinger GT2 has an MSRP of $51,400. We tested a rear-drive Stinger GT2 (MSRP $49,200) with no options. Adding the $900 freight and handling charge raised the total to $50,100. 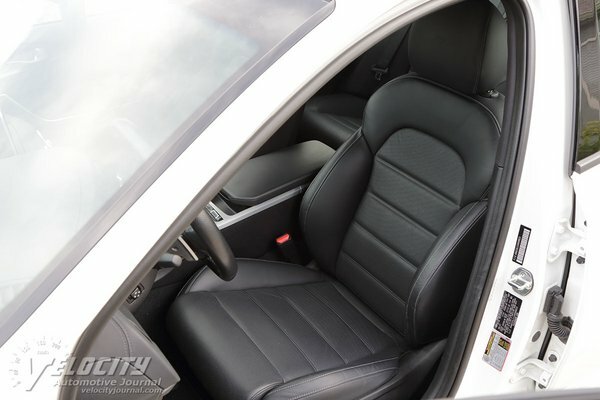 Standard equipment includes heated and vented Nappa leather front seats, heated steering wheel, Harman Kardon audio system, Android Auto & Apple CarPlay, navigation, smart cruise control, lane departure warning, forward collision avoidance, blind spot collision warning, head-up display, sunroof, and LED headlights. Of the two available powerplants, enthusiasts will likely opt for the optional dual overhead-cam 3.3L V-6. With twin turbos and variable valve-timing, the V-6 is rated for 365-hp @ 6,000 RPM and 376 lb.-ft. @ 1,300-4,500 RPM. 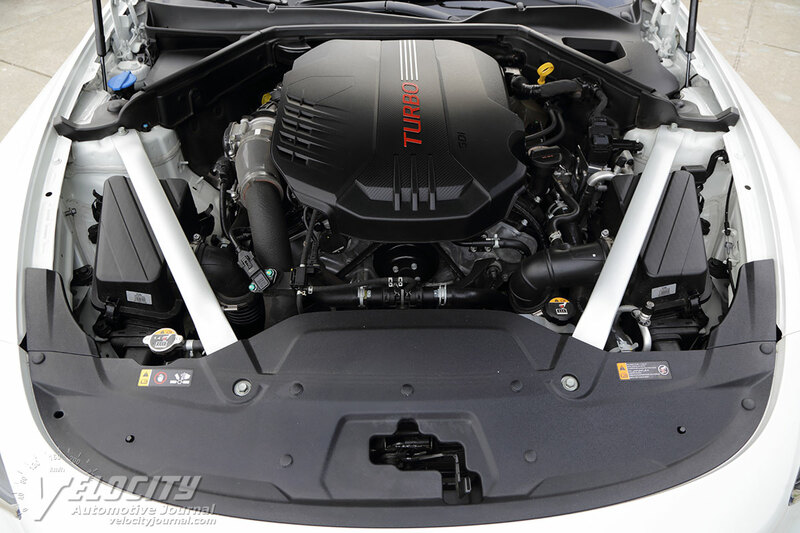 The base turbo 2.0L inline-4 cranks out 255-hp @ 6,200 RPM and 260 lb.-ft. @ 1,400-4,000 RPM. Both engines are mated to an 8-speed automatic with overdrive ratios for sixth through eighth gears. Fuel consumption with the V-6 is 19/25 MPG (city/hwy.) in both RWD and AWD configurations. 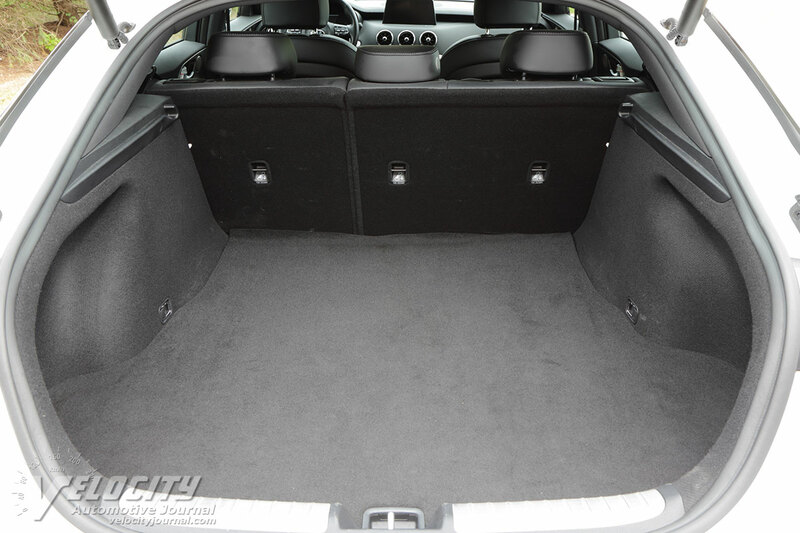 The 2.0L four is more fuel-efficient with a 22/29 MPG rating (city/hwy.) with RWD or 21/29 MPG (city/hwy.) with AWD. We achieved an exceptional 30 MPG in mostly highway driving in the tested RWD GT2. 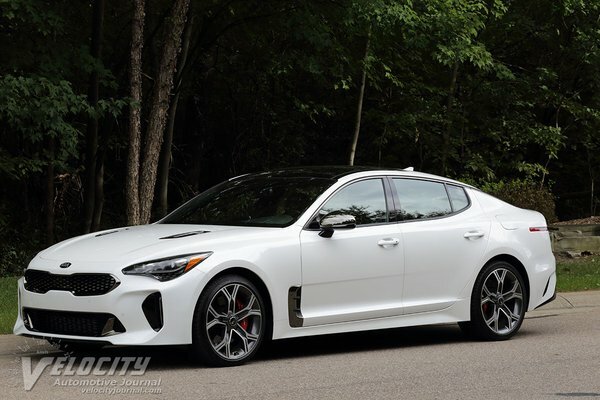 The Stinger's suspension consists of MacPherson struts in front and 5-link rear layout with coil springs and electronically-controlled dampers. Stinger GT models get Brembo discs at all four corners: 13.8-in dia. front rotors and 13.4-in dia. rotors in back. The front calipers are four piston with dual piston calipers in the rear. Steering is a rack-and-pinion setup with electric motor assist with only 2.2 turns lock-to-lock. Standard wheels and tires for Stinger GT models are 19-inch dia. alloys with Michelin Pilot Sport 4 P225/40R19 front tires and P255/35R19 tires. Optional P225/45R18 tires on 18-inch dia. alloy wheels are available. A limited-slip rear differential is standard with the GT2 (optional on the GT). 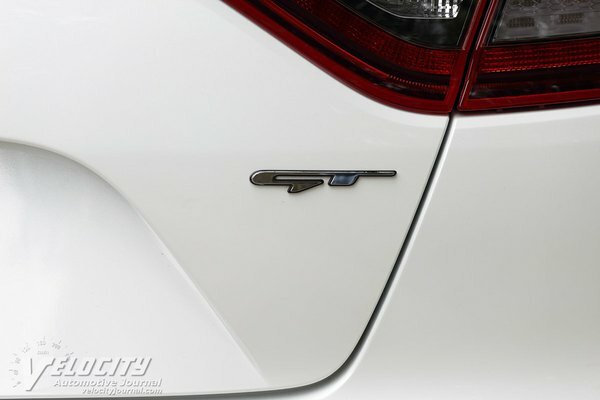 Electronic stability control and cornering brake control are standard. Curb weight ranges from 3,829-4,023 lbs. for the Stinger GT. 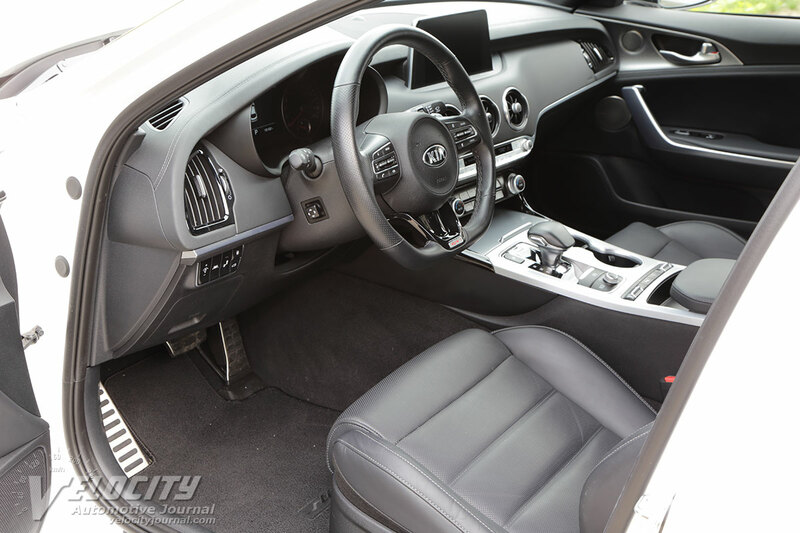 Kia's interior design is refreshingly uncluttered. Matte aluminum trim contrasts with the dark gray and glossy black interior. An 8-inch infotainment touchscreen sits on the dashboard within easy reach. A trio of circular vents direct air around the cabin. Audio and HVAC knobs and buttons are clearly marked and are directly accessible. 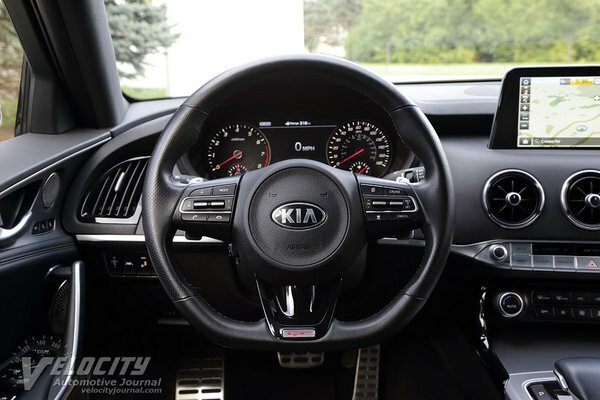 Next to the stubby transmission shift lever are dual cupholders and a rotary drive mode knob that adjusts throttle, transmission and suspension damping settings. The leather-wrapped steering wheel includes controls for phone, audio, and cruise. 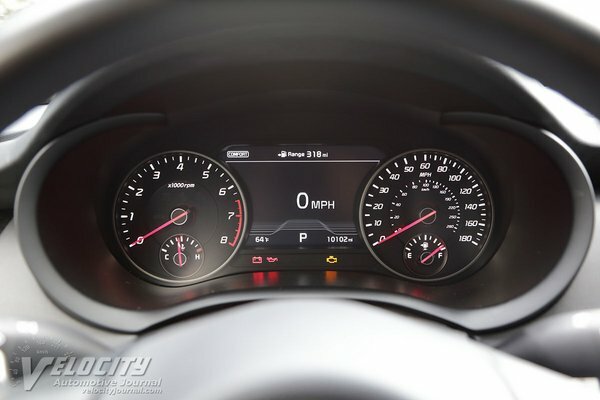 Within the instrument cluster are a tachometer and speedometer with smaller inset fuel and coolant temperature gauges. A central trip computer displays various vehicle functions and status indicators. The display can be configured to show g-force, engine torque and turbo boost. Aluminum gas and brake pedals along with a dead pedal enhance the sport sedan theme. As befits a sport sedan, the Stinger's perforated heated leather seats provide excellent thigh and torso support, even after a few hours on the road. Power adjustment for both driver (16-way) and front passenger (12-way) ensures that the occupants can find a comfortable position. The 4-way power lumbar support for the driver and passenger is much appreciated on long road trips. 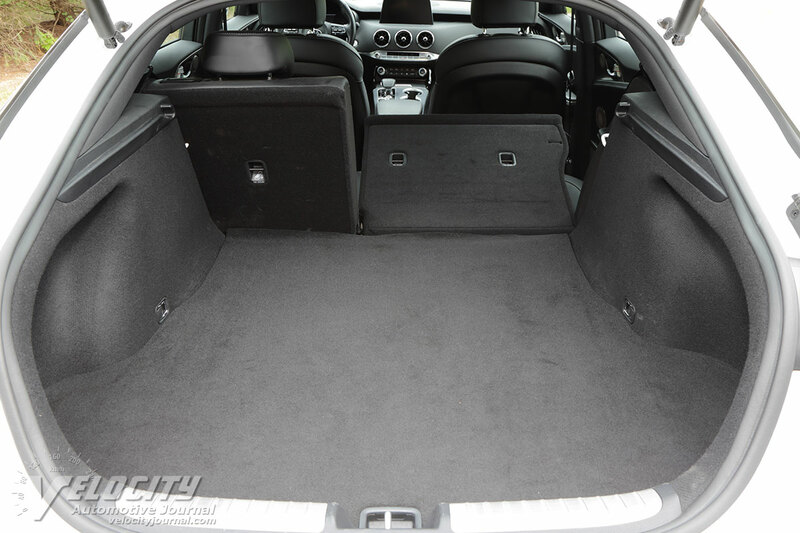 The Stinger's low roofline restricts front and rear headroom. Passenger taller than 6 ft. may find inadequate headroom. 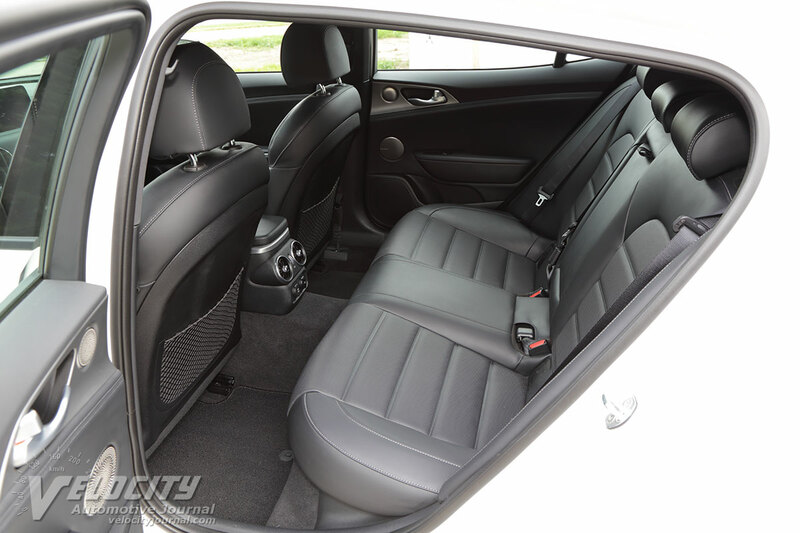 The narrow rear windows can make rear seat occupants feel like sitting in a hole. Rear seat comfort is excellent with two passengers. 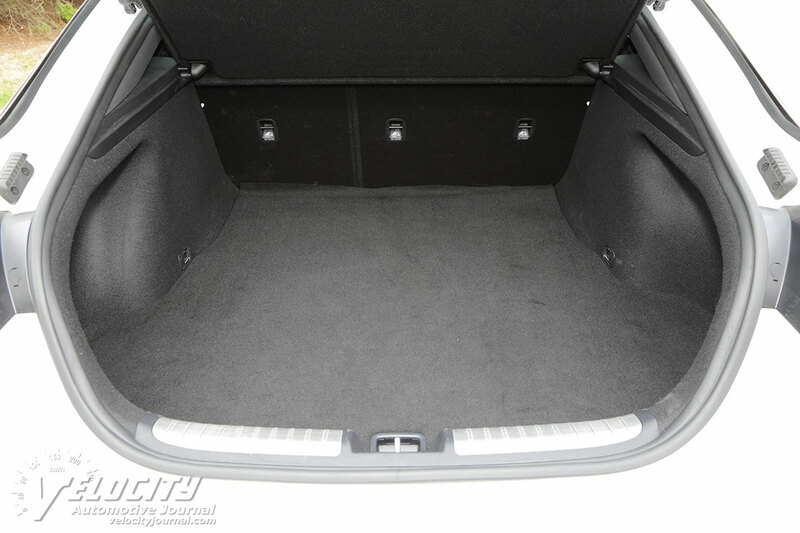 Ample legroom ensure comfortable accommodations on long road trips. Using the center console knob to change drive modes significantly affect the driving experience. In Comfort mode, the suspension feels underdamped and floats over bumps. Transmission downshifts are delayed 1-2 seconds after flooring the gas pedal. Selecting Sport mode stiffens the damping and the transmission programming will not select 8th gear, although the steering paddles can be used to manually upshift into 8th gear if desired. 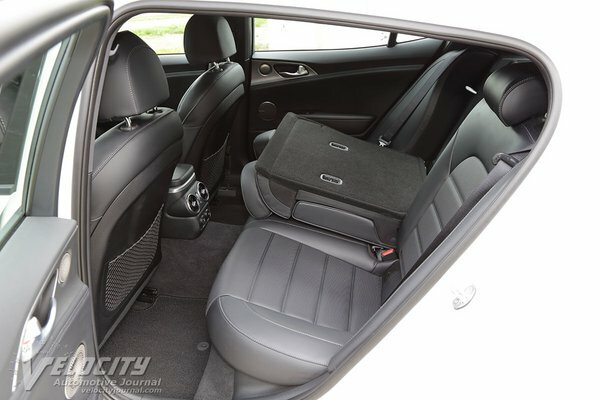 The Smart mode offers a decent balance of ride comfort and transmission responsiveness. The Eco mode feels too sluggish for urban driving conditions to be usable. Our preference was to select the Custom mode which tailors steering, damping, and throttle response. We used Custom mode during most of our driving, along with the paddle shifters for faster throttle response. 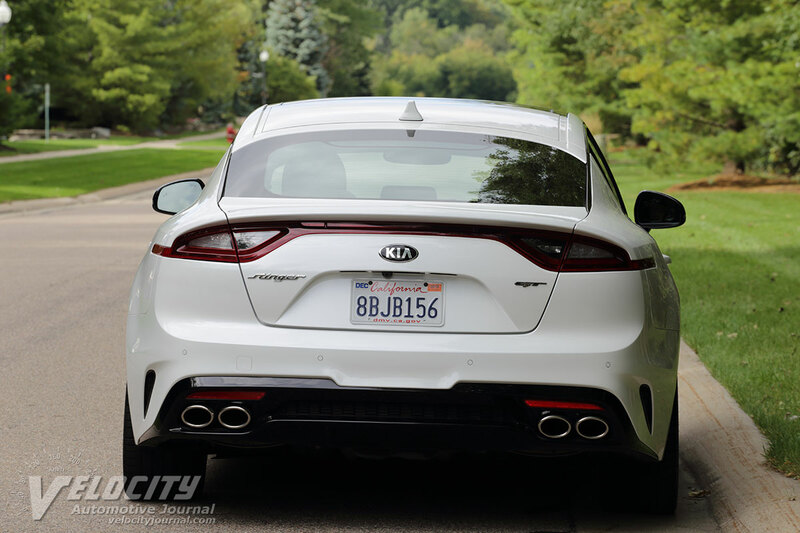 The Stinger's twin turbo V-6 is cranks out adequate torque off-boost, but there is a perceptible lag below 2,000 RPM before the turbos start delivering added thrust. We found that clicking the shifter paddles down a couple of gears would aid initial acceleration until the turbos could start flowing more pressurized air into the V-6. 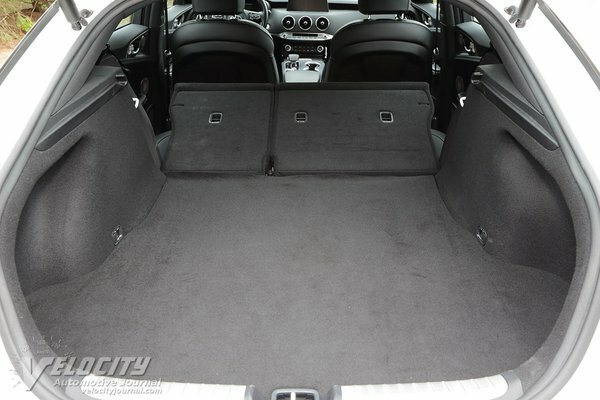 Flooring the throttle mid-corner is also ill-advised as the sudden extra torque will cause the stability control to intervene as expected. At highway speeds, the turbos spool up rapidly and deliver satisfying acceleration on demand. As befits a Grand Tourer, the Stinger is an excellent long distance cruiser. On a 320-mile road trip the Stinger displayed superb high speed stability. Highway driving at night is a true test for headlights, so we were impressed with wide beam pattern and even lighting of the Stinger's LED headlights. We also appreciated the potent high beams, which effectively illuminated the road further out than expected. Minimal wind and tire noise intrudes into the cabin. The V-6 is unobtrusive at highway cruising speeds, aided by the tall overdrive 8th gear ratio (0.556:1). 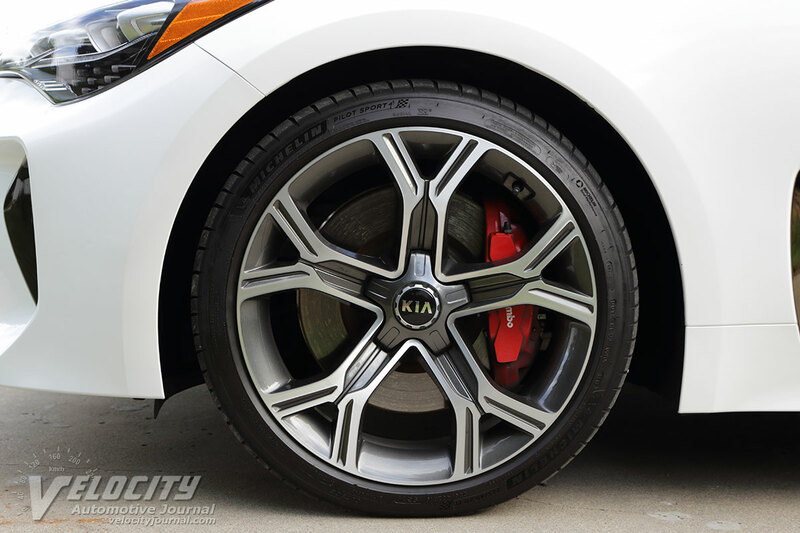 Brakes live up to Brembo's reputation, slowing the Stinger with fast, fade-free stops and a firm pedal. We were not as impressed with the electric power steering, which filtered out most road surface textures. Aided by its low profile Michelins, the Stinger's quick steering turn-in response was expected, along with the jittery ride over the potholes and frost heaves scattered throughout Michigan roads. For less ambitious drivers, the available 18-inch alloy wheels and 45-series tires may be a more livable option. Without question, the Stinger is an impressive sport sedan from Kia. 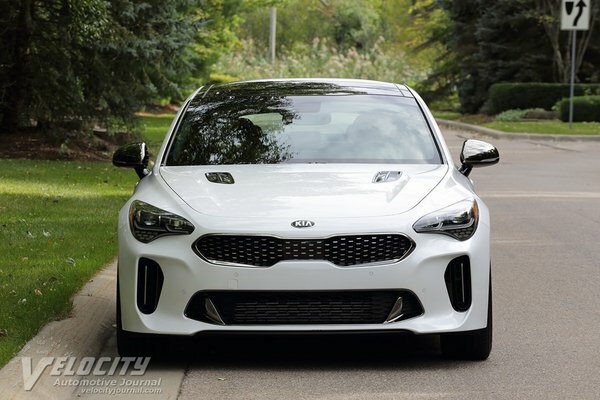 A relatively affordable base price positions the base Stinger as an alternative to mainstream midsize sedans. 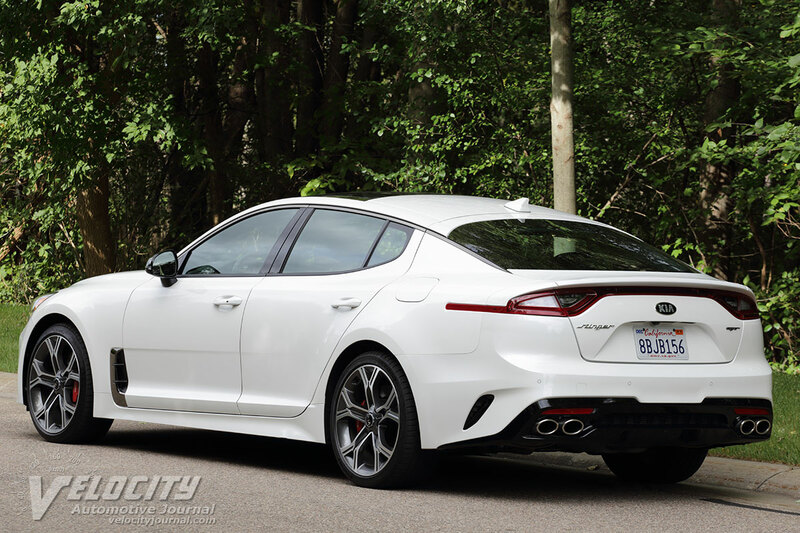 The more expensive Stinger GT is aimed directly at established German and Japanese sport sedans. In our opinion, the Stinger's standard equipment, competent handling and performance are a nearly irresistible combination.